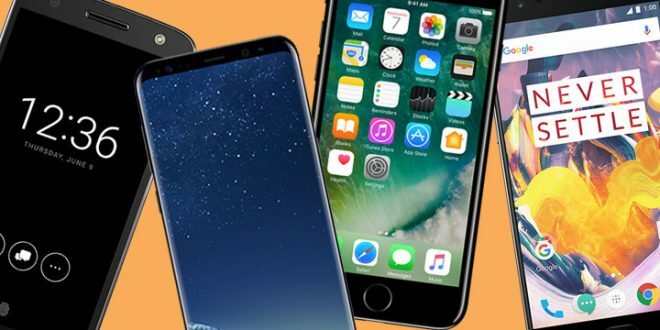 The smartphone industry is highly competitive, with many makers big and small providing billions of users with handsets with an ever-increasing processing power that they use to enjoy the best online gaming with EuroPalace. Gsmarena currently lists over 100 mobile phone brands, some defunct, others very active and pushing out new models each year. Yet only a select few of them all can achieve the greatness needed for its name to actually appear in statistics, with most of them only appearing in the “other” category (currently responsible for 39% of all smartphone deliveries across the globe). But now let’s take a look at the top five smartphone brands with the largest market share in the second quarter of 2017. Xiaomi released its first smartphone in 2011 and has been the brand of choice for many smartphone owners in China and beyond ever since. Since its founding in 2010, Xiaomi has expanded into several areas beyond smartphones – today, it sells mobile apps, laptops, and other consumer electronic products. This year, the manufacturer has released several high-profile handsets, like its flagship Mi 6, the Mi Max 2 phablet, and Mi A1, the first Android One smartphone. With a market share of 6.2% and 21.2 million handsets delivered in Q2/2017, Xiaomi is the fifth largest smartphone maker in the world. OPPO Electronics has been manufacturing electronics since 2001 and has broken into the smartphone market in 2012. Last year, OPPO was the leading smartphone brand in China, and this year it has expanded in other markets, such as India and other Asian countries. Its most recent smartphone releases are the OPPO F3 Plus, the first handset with a front dual camera, and the R11, a relatively affordable handset with dual 20-megapixel cameras. In Q2/2017, OPPO has delivered 27.8 million smartphones, enough for a market share of 8.1%. Earlier this year, Chinese telecom giant Huawei has overtaken Apple briefly as the second biggest smartphone maker. The Cupertino giant has, in turn, taken back its position, leaving Huawei with its usual third place. Huawei has been the biggest manufacturer of telecommunications equipment for years since overtaking Ericsson in 2012. It also produces quite a few smartphone models, often for wireless service providers, but also under its own brand. In 2010, Huawei delivered only 3.3 million smartphones. In the second quarter of 2017, it delivered 38.5 million, enough for a market share of 11.3%. Apple is a tech company that needs no introduction. It was the one to start the smartphone era as we know it and has been ever since one of the leading manufacturers in the world. With 41 million devices delivered in Q2/2017 and a market share of 12%, it is the second biggest smartphone maker – and its position will probably strengthen with the release of its new generation of iPhones. The South Korean consumer electronics giant has maintained its undisputed position as the biggest smartphone manufacturer in the world. In the second quarter of 2017, the company has shipped 79.8 million devices, grabbing a market share of 23.3% – almost twice as big as Apple’s. This after last year’s “exploding battery” fiasco that seriously hurt its sales.